This was a fast-track design-build project using concrete tilt-up and steel. It consists of 330,000 sq. ft. of building, 7.6 acres of floor, 7.6 acres of roof, and one million sq. ft. of paving—all designed and constructed in under seventeen months. 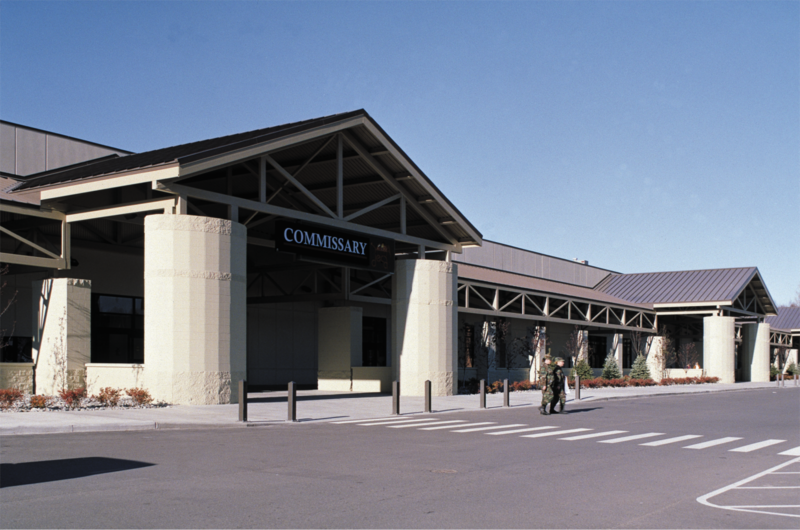 This facility provides a large, full-service commissary (super market), a main exchange retail store which is among the largest in AAFES, an optical clinic, smaller retail facilities, and a large food court, all under one roof within an attractive shopping mall. This facility has become the standard for future AAFES shopping centers. Ground was broken in mid-May 1998, and the roof was on and the building heated by early October of the same year. This is the largest Joint AAFES & Defense Commissary Agency (DeCa) facility in the world. Bob Carr - Sr. Project Manager Owner's Rep.